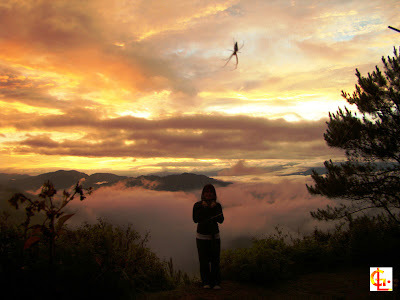 The mountains surrounding Sagada does not only create beautiful sceneries or shield the place from devastating storms but serves as homes to a handful of unique wild and edible fruits. Knowing such wild fruits can increase ones survivability incase someone gets lost in the mountains. These wild fruits are found in different environments, ranging from dense forests to open grassy plains. “Alumani” – a black berry, found in rather open fields, this little berries thrive at the higher parts of Sagada like Mt. Ampacao and lake danum both located at 6,000 ft. above sea level. The fruits are green in color when unripe. The locals call it “agumba.” Alumani is a seasonal fruit and only available from the months of April – June. “Pinit” – this wild strawberry looking plant is all over the open planes of Sagada, such are found at Marlboro mountain, mt. Ampacao, Danum and others. This berry seems to bear fruits all year round. “pinit #2” – also called another “pinit.” I don’t know why. The fruits are found in vines of open grounds and are available all year round. One needs to search thoroughly to find one, even if it’s in the open. “Sengang” – the fruit comes from a shoot of a bush in most mountains of Sagada. “akbab” – this is a product of a banana like plant in the dense forests of the mountains. The edible part is the seeds inside the hard red shell, one needs to jaw the shell to split it to half. “Gulibangbang” – this bushy berry is found at semi open mountains and in open forests. It is often red in color. “Agsup” – the name came from the root word “Ag” and “SSSP” meaning “to” and “sip”. This one is the liquid found hanging like berries in the trees of the mountains however; such trees are already planted near house hold areas of Sagada. “gutto-gutto” – this is a fruit found inside the soil within the roots of a fern. They are eaten for the liquid inside the round shaped sponge like root product of the plant. can u also include photos of each mentioned fruit? that would give us an idea how this wild fruits look like. best regards!